2018 Pushcart Nominations from Split This Rock! Split This Rock is very pleased to announce our nominations for the 2018 Pushcart Prize. We are inspired by these six poets and their poems of witness! 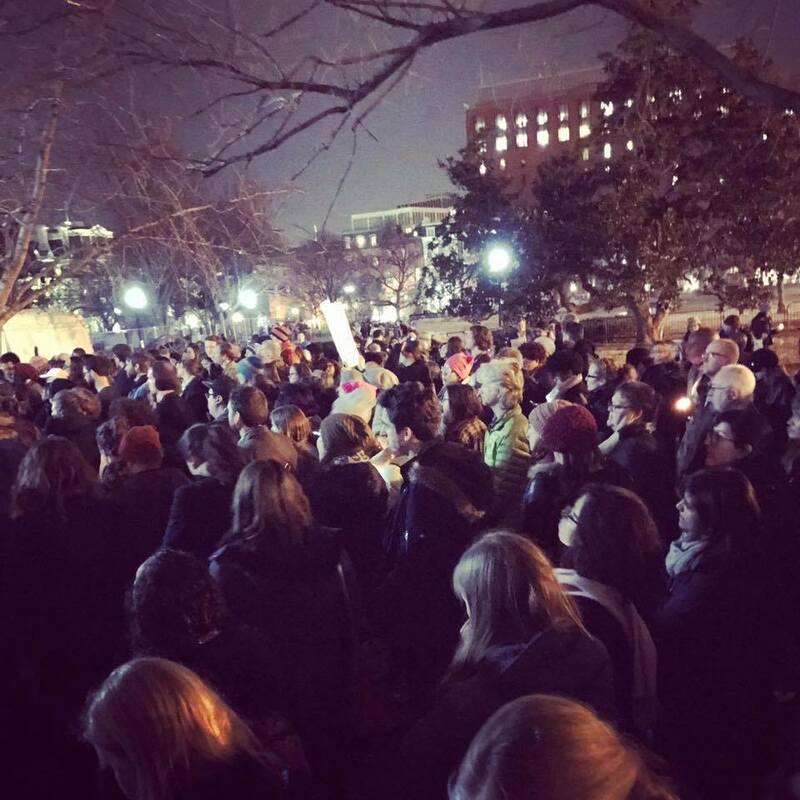 These poems -- some which were published as part of a special Inauguration Day Poem of the Week collection -- offer fuel for truth-telling and protest, for beckoning a new world that celebrates us all, for the rally and comfort of solidarity. The selected poems, like the six we nominated for Best of the Net 2017, are poems we return to over and over to keep us refreshed, focused, and awake to possibility in these difficult times. We hope they nourish you as well! You may visit these and over 475 other poems of provocation and witness in The Quarry: A Social Justice Poetry Database -- a searchable collection of poems by a diverse array of contemporary socially engaged poets, published by Split This Rock since 2009. Like all of Split This Rock’s programs, The Quarry is designed to bring poetry fully to the center of public life. Searchable by social justice theme, author’s identity, state, and geographic region, this database is a unique, rich resource. The Quarry offers poems that will inform and inspire you, your peers, and all with whom you work and collaborate. You might not only read these poems but use them to keep yourself grounded, to open meetings, to share among discussion groups, to email to representatives to encourage them to keep working for the general welfare, or to share with those who might benefit from perspectives different from their own. We're fighting for health care and we know you are too! Poetry, in fact, is relevant everywhere, including policy debates. As the administration and majority party seek to reverse the progress made, and to remove the protections given Americans by “Obamacare,” Split This Rock offers 11 poems on matters related to health and health care. When we searched our collection for poems that witness on health or illness, to respond to the current fiasco of dismantling the Patient Protection and Affordable Care Act, we found most of the poems on this theme are by women. Fitting, since the current Senate bill never once mentions women. The poems range in subject from families living with a son’s mental illness, to the way chronic pain can govern a life, to how our veterans need the care our government might soon eliminate - unless we fight! ● or to email to those who need a reminder of just how much our health is a matter of luck, or class, or gender, or war. We offer excerpts of these poems, below, for your hearts and your courage. Click on the title to read the full poem. For more poems related to matters of health, its economics, and the effects of care, please visit The Quarry: A Social Justice Poetry Database. within ten blocks of the party. All the people you hate are already there. and you’re supposed to know why. … Rob, I am splintered, drawn blood. As The Quarry: A Social Justice Poetry Database turns two years old, we’re thrilled to reflect on trends related to The Quarry’s use and share the top 10 poems most viewed in 2016. From its inception until December 31, 2016, The Quarry was viewed 106, 607 times. That’s over 3 times as many visits as reported last year in August. We hear of the poems being used by teachers in classrooms, for writing workshops, in vigils, performances, worship services, and more! The poems are traveling the country and the world with their witness and their provocation, their mourning, their love. We look forward to creatively expanding The Quarry’s reach even further, so it continues to function not only as a repository of excellent poetry, but as an active tool for those who seek to make justice present in our time. Towards that end, we’d love to hear ways you’ve used it – for organizing, teaching, worship, reflection. Email your story to info@splitthisrock.org. You’ll see some familiar titles on this year’s list if you compare it with one we posted in 2016. In honor of The Quarry turning one, we posted a list last year of the poems most often viewed in its first year, which spanned two years. This year’s list offers a spotlight for poems most viewed and published in 2016. We'll be tracking numbers by calendar year from now on. 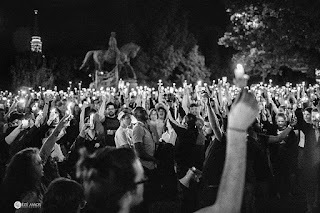 The poems readers turned to most often in 2016 were poems that addressed the dangers our communities face with tremendous compassion, with tenderness, with fierce insistence on staying alive. In 2016, you visited these poems in The Quarry 10,678 times! The 2016 list tells us readers have been thinking about the complex ways our genders are perceived, how our sexualities are too often policed, about the longing and anger inspired by America’s demands for assimilation, the ways that white supremacists impose and do violence. But these poems all share another theme: they testify to the resilience and resistance of our communities, to their generous and unrelenting imagination. Through the top 10 poems and the readers who have given them their care and attention, we know that the trouble roving the land now is not new, is not unique, is not even terribly original in its dreams and tactics. Even its courage, its aggression is not new. It is the same trouble that social justice work has always challenged and imagined a way beyond. But, many people in this country find themselves newly attuned to this old, destructive trouble. It is not only these newly "woke" citizens who feel the pressure, the weird loneliness of living in this trouble and finding the courage to act for the good. Hannah Arendt taught us that the one greatest tool of totalitarian regimes is isolation and its effect is loneliness. Even in this totally connected age, it's possible to feel (again, and again) abandoned, cornered, isolated. Poetry and poets have long sung to us the truth, and the truth told with clarity dispels that loneliness in each stanza. The most-viewed poems of 2016 serve as a cure for that oppressive loneliness. Those who hope for our surrender will find, as we do in each of these poems, that they are wrong. We are powerful, and courageous, and we see each other. M. F. Simone Roberts is the Poetry & Social Justice Fellow for Split This Rock where she co-curates and manages The Quarry: A Social Justice Poetry Database. Roberts is an independent scholar of poetics and feminist phenomenology, a poet, editor, and activist. She is co-editor of the anthology Iris Murdoch and the Moral Imagination: Essays and author of the critical monograph A Poetics of Being-Two: Irigaray's Ethics and Post-Symbolist Poetics. Her poems are coming soon to a journal near you. 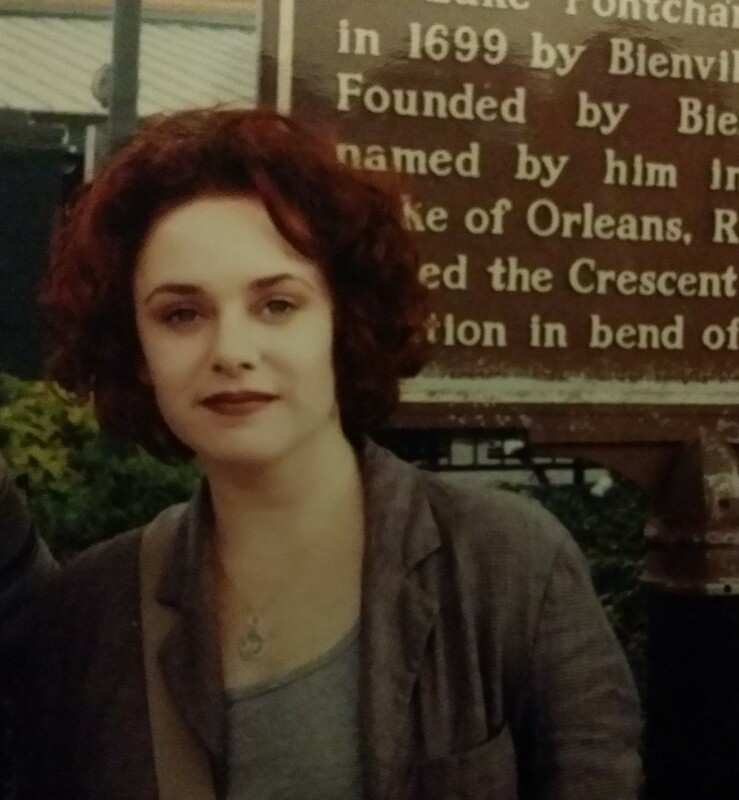 Descendant of both aristocrats and serfs, she adventures this world with her consort, Adam Silverman. 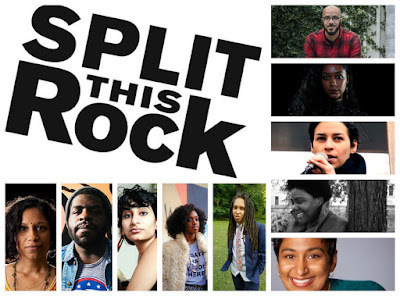 Split This Rock has been a people's movement since its founding in 2008. Sustained by the community's call for a permanent home for progressive poetry, together we have engaged poetry as an agent of change, speaking up for peace, elevating the voices of the disenfranchised, and using poetry to call forth the just community we wish to see. June Jordan's words ring true when reflecting on Split This Rock's history and accomplishments: we are the ones we’ve been waiting for. 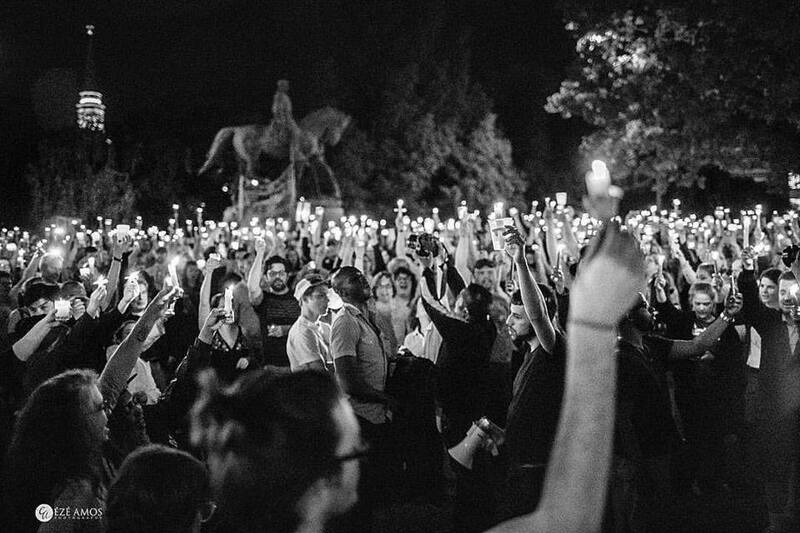 As we head towards the end of Split This Rock's fiscal year, in a society fraught with turmoil and with the future of arts funding uncertain, the need for continued solidarity is crucial. Our goal is to raise $5,000 by June 30 and with your help -- financial and otherwise -- we know this goal is in reach. We're halfway there! If you believe in the work of this organization, there are so many ways to show your support and help equip us to enter our next fiscal year, marking Split This Rock's 10th anniversary, strong. We offer 10 suggestions below. 1. Repost, Share, Shout Us Out! Moved by a Poem of the Week? Share it on your social media and encourage people to sign up to receive our emails. Excited about the DC Youth Slam Team? Invite friends to attend its next event. Love the new Split This Rock merchandise? Point people to the website. Let others know what moves you about Split This Rock and that the organization is worth their time and investment. 2. Attend David v. Goliath on Tuesday, June 27, 9-11 am at Busboys and Poets - Brookland! Split This Rock’s DC Youth Slam Team goes up against the adults of the Beltway Poetry Slam team in a fundraiser to send both teams to their national slams. It’s a night of fun competition you won’t want to miss! Tickets are on sale for $10 at Eventbrite. 4. Host a Fundraising Event and/or Donate Signed Copies of Your Book! 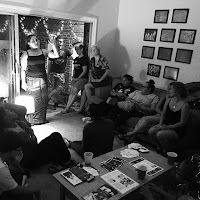 Help us widen the Split This Rock network by hosting a house party, reading, or other fundraising event. You supply space and refreshments and invite your friends. We'll provide poetry and info about Split This Rock. If you’re a poet, send us a signed copy of your book (or a few!) to sell at one of these special events or to offer as a perk for fundraising campaigns. 5. 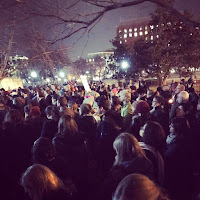 Connect Split This Rock Poets & Poetry to Activist Circles! Encourage activist friends and groups to incorporate poetry of provocation and witness into their work for social change. Let them know about The Quarry online social justice poetry database and Split This Rock as a resource. 6. Get Creative with Your Giving! Gayle Brandeis donated $5 for every pre-order she received for her latest chapbook. Be like Gayle and get out of the box! What can you do to encourage others to give? What other resources or talents could you contribute? Visit the wish list on Split This Rock's website to see if it sparks an idea. 7. Give the Gift of SkyMiles! Help us send youth to Brave New Voices International Youth Poetry Slam Festival and bring featured poets to Split This Rock Poetry Festival 2018 and other events. 8. 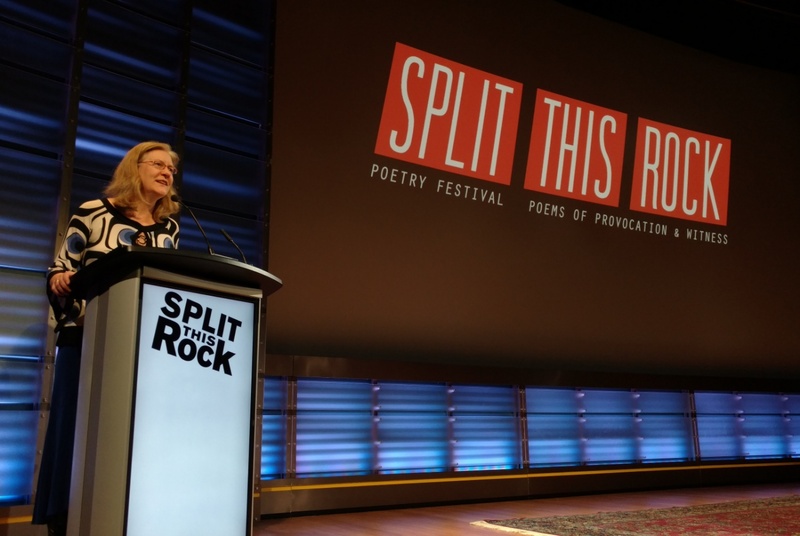 Help Secure Venues for Split This Rock Poetry Festival and other events! DC venues are costly and hard to find. But poetry deserves beautiful spaces! Help us find donated or discounted venues. Festival sponsorship opportunities are also now available. Visit Split This Rock's website for details. 9. Volunteer! It’s festival planning season! And 2018 will be full of 10th Anniversary activities! Though Split This Rock's reach has expanded dramatically over the last ten years, we remain a small organization internally and simply could not pull off the festival and other major events without a strong crew of volunteers. Check out the festival leadership roles on the website! Volunteer positions are always available! 10. Donate! 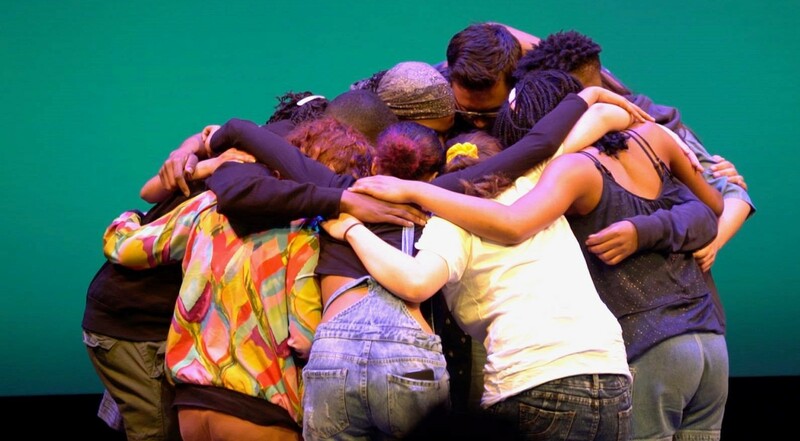 Your donations send the DC Youth Slam Team to Brave New Voices International Youth Poetry Slam 2017 in California, support 2018 festival costs such venue rental, event mobile app fees, featured poet stipends, and the like, bolster efforts to make Split This Rock programming accessible to all, and so much more! Visit Split This Rock's website to read further about what your gift can do or to give online! And there are so many other ways to help! Reach out to us if you'd like to assist in any of these ways or explore other options at 202-787-5210 or info@splitthisrock.org. We'd love to hear from you!